Pesky critters or unwelcome furry guests? Call RKR Nuisance Wildlife Control! RKR Nuisance Wildlife Control specializes in the humane removal of bats, squirrels, skunks, raccoons and many other pests. If you have an unwanted visitor or pests have invaded your living space, give us a call for quick, efficient eviction and clean-up services. We offer full-service wildlife removal to rid your property of nuisance pests quickly, humanely and thoroughly. 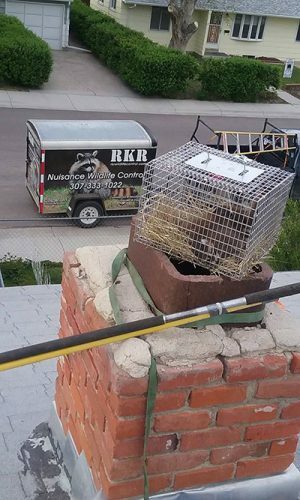 RKR Nuisance Wildlife Control is your go-to source for rodent control in Casper, WY. 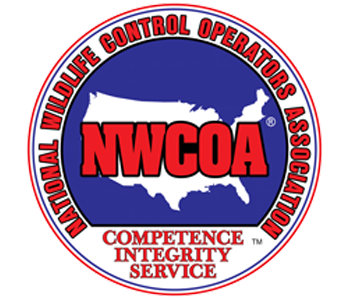 We are a Certified Wildlife Control Operator and member of the National Wildlife Control Operators Association. We apply our in-depth wildlife expertise to effectively remove animals and prevent future intrusions. Our experienced team specializes in raccoons, skunks, squirrels, prairie dogs, bee or wasp hives, coyotes, fox, mice, rats, muskrats, beavers, feral cats and snakes. We also offer animal carcass removal. Our services are available for private locations, and we also work with state, federal and local municipalities for humane animal relocation. As your local expert for wildlife removal in Casper, WY, RKR Nuisance Wildlife Control strives to help both the wildlife and the general population live in harmony. We provide educational demonstrations for organizations like the Boy Scouts, 4H and Mountain Men Rendezvous. Our on-site services include humane trap-and-release methods, waste remediation and emergency calls. Whether squirrels have taken over your attic or a bat surprises you in the night, know that we’re here to assist you. We offer affordable rates and take pride in delivering full-service removal. Contact us today to discover the many benefits of partnering with us for your wildlife control needs. We are a Certified Wildlife Control Operator and Licensed Trapper. We’re a locally-owned and –operated business, familiar with the area’s many pests and nuisances. We provide full-service humane wildlife removal and waste remediation. Our abilities encompass a complete range of wildlife, from beehives to squirrel nests. We offer same-day response time for call-backs and 24/7 emergency services. RKR Nuisance Wildlife Control offers the expertise you need to quickly and humanely rid your home of those pesky, uninvited animals.  "I am so thankful for RKR Nuisance. They came right out and took care of a bird issue we had! Jerry was so friendly and really put my mind at..."
October 31, 2017 Lori M.
"Thank you so much for the humane removal of the pigeons that had taken over my house!! I would recommend RKR for any wildlife problems!!" October 31, 2017 Maureen K.
"Wouldn't call anyone else to handle those issues that I can not deal with on my own. Quick and efficient. Can handle any situation and take ..."
October 31, 2017 Lindsey C.
"Thank you so much to RKR Wildlife Animal Control. You were so fast and efficient in helping us get the two baby raccoons a new and safe home..."